Dr. William H. Sharfman, M.D. Dr. William H. Sharfman serves as the Director of Cutaneous Oncology and Clinical Co- Director for Oncology at Johns Hopkins Melanoma Program. Dr. Sharfman is an associate professor of oncology and dermatology at the Johns Hopkins University School of Medicine. 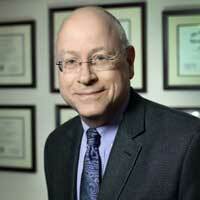 His areas of clinical expertise include cutaneous oncology, dermatology, gastrointestinal cancers and immunotherapy. Dr. Sharfman’s research interests include novel therapies for high risk and advanced melanoma and lung cancer patients. Dr. Sharfman helped create the well- established Melanoma Program at Johns Hopkins in 1994. Your ticket for the: Dr. William H. Sharfman, M.D.